Twitter: @LForzko. 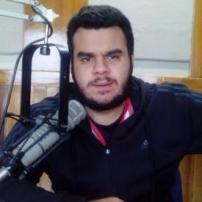 Venezuelan journalist. Political analyst. Unfortunate member of a deranged society where progressives are considered radical right-wingers. Compulsive reader with a strange taste for noir literature and weird stories. I've been published in both Venezuelan and U.S. publications including The Daily Caller, Diario Contraste, Cracked, and The Latest.